This guest post was authored by Adam Paxton and originally published on adampaxton.com. Adam is a freelance mobile app developer for Polanco Media, and an Appcelerator Titan. You can follow him on Twitter at @adampax. About a year ago, I switched to the excellent VS Code editor for Titanium development. The also-excellent David Bankier put out a Titanium extension (VS Code marketplace, Github) that integrates build commands, tss styling, and shortcut keys for displaying all related Alloy files of an opened controller, view or style file. You can also access the commands from the Command Palette by going to View > Command Palette… or Cmd+Shift+P and then start typing ‘Alloy’. 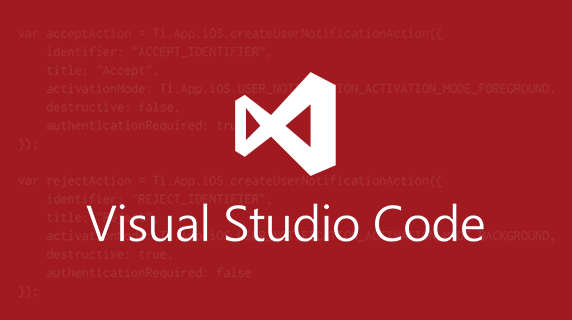 Download the VS Code extension here.